Torx Plus screw. Hex / Torx dual drive. #8 size (0.163" outside diameter). Flange head. 0.485"L. Hex = 0.272" flat-flat, 0.312" across corners. NOTE: Minimum order is 100 pcs. 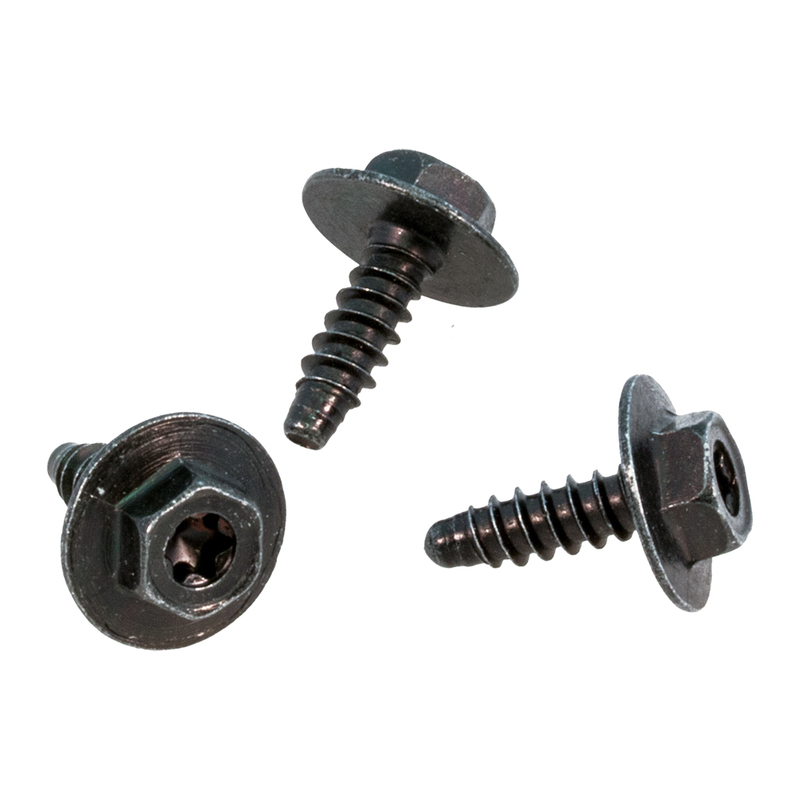 Phillips pan head machine screw. Zinc over steel. Includes star washer. 8-32 (0.164" nom. 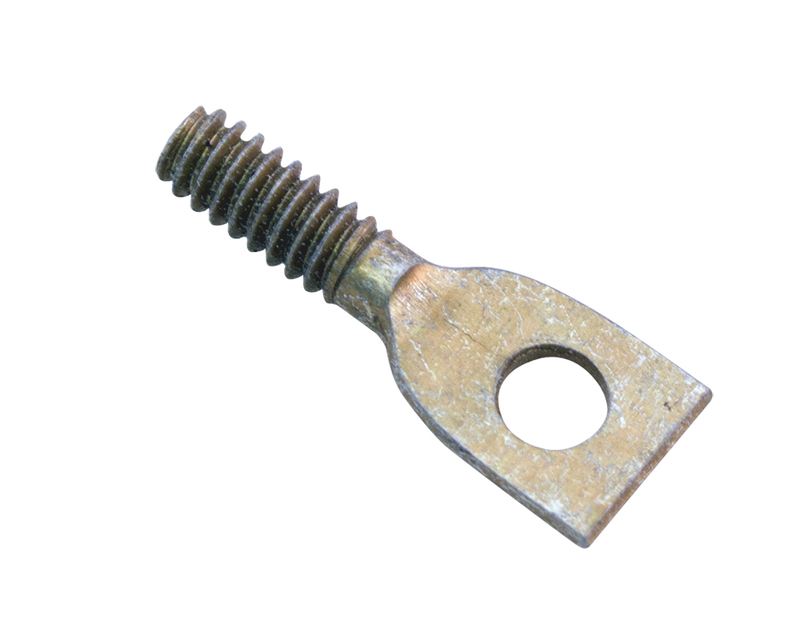 ), 3/8"L (usable length after washer: 0.326") 0.485" overall length. NSN: 5305-01-598-1309. NOTE: Minimum order is 100 pcs. Metric machine screw. Zinc. Philips pan head. M2.5 x 0.45 x 8mm. NOTE: Sold in boxes of 50 pcs or 1000 pcs. Machine screw. 10-32. Round, slotted head. Bright nickel plated. 1/4" long. 6-32 single hole stud eyelet. 1/4"L threaded position. 0.125"D hole. 3/4" overall length. 6-32 double hole stud eyelet. Zinc/steel. 1/4" c-c holes (0.118" D). 3/8"L stud position. 1" overall length. 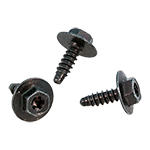 Brass pan head screw. Phillips. 3/4" long. 1/4-20. Metric machine screw. Pan head. Zinc / nickel plated steel. Thread = M3. Length below head = 8mm (0.315"). Packaged in #5,000 bags or #10,000 bags. Minimum order is 100 pcs. 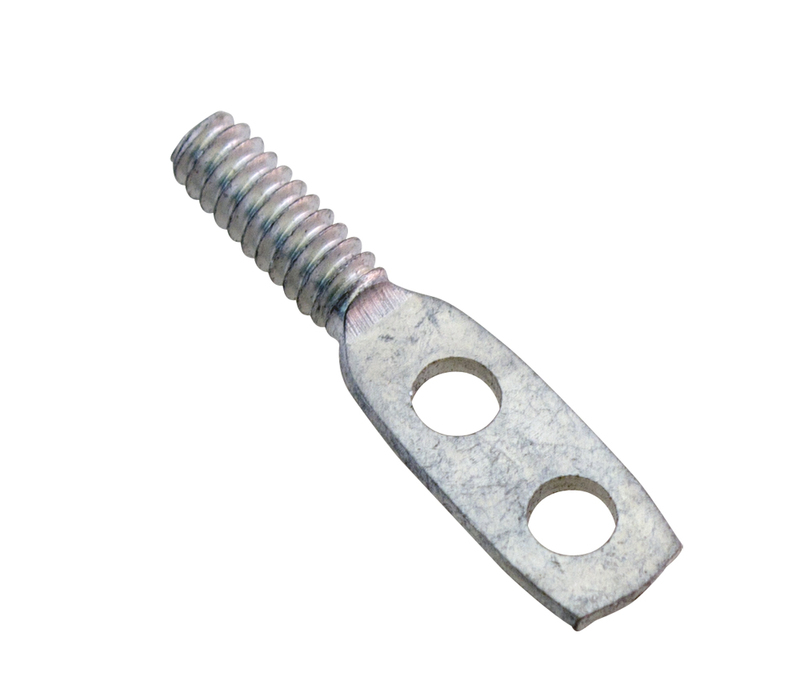 Cad plated bolt. Grade 5. 3/8" - 24. 1.078" long. Harris P/N: 326-0727-000. Cam head stud. 5/16" stud, 1/2" long. 0.455" x 0.845" x 0.14" oval head. 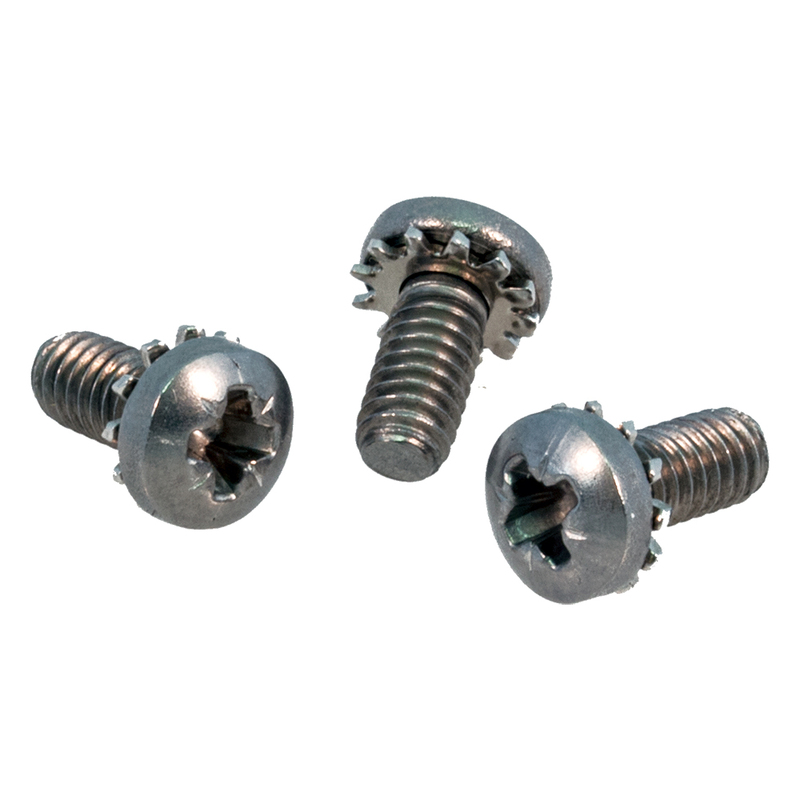 18 - 8 stainless steel screw. 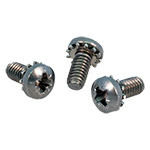 1/2" - 13 cap screw. 1-3/16" long. Thumb screw. Made for electronic equipment industry. Square thread. 0.235"D, 0.056" pitch, 0.45" long. 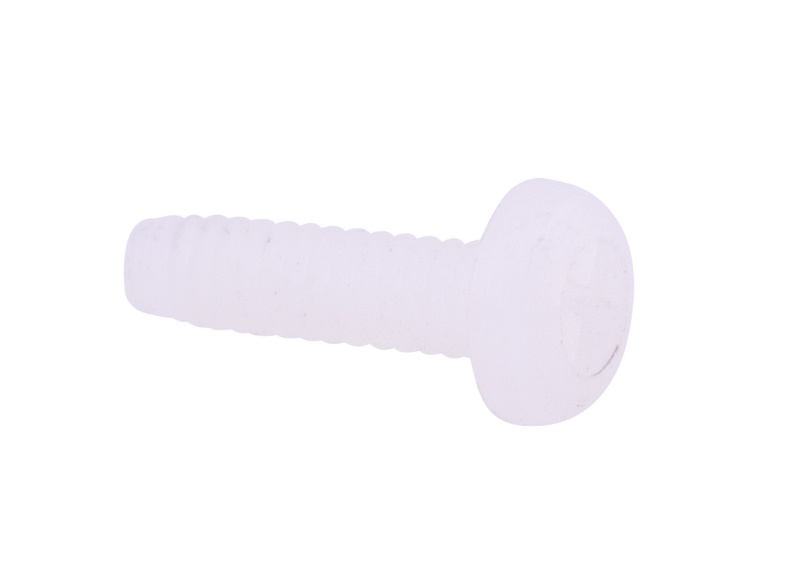 Nylon screw. 1/2" long. 6-32 thread. Phillips head. Minimum order is 50 pcs.